Philip L. Miller, 75, of Tiffin, passed away on Friday afternoon, February 8, 2019 at Bridge Hospice Care Center, Findlay. He was born on July 23, 1943, in Fremont, Ohio, to Arthur and Mary (Corl) Miller. On September 28, 1963 in St. Joseph Catholic Church, he married Helen R. Smith. Survivors include his wife, Helen R. Miller of Tiffin; sons, Daniel (Lynn) Miller, Douglas (LaDonna) Miller, Mark (Ann) Miller and Eric (Bridget) Miller, all of Tiffin; daughter, Susan (Doug) Hamman of Shiloh; brothers, August (Patricia) Miller of Helena, Stephen Miller of Tiffin, George (Carol) Miller of Kansas, Gerald (Shirley) Miller of Fremont and Kenneth (Melissa) Miller of Fremont; sisters, Teresa (Robert) D’Orazio of Grand Rapids, MI, Martha (Mike) Ryan of Fremont, Viola (Mark) Rumschlag of Tiffin and Marian Miller of Fremont; 12 grandchildren; and 5 great-grandchildren. He was preceded in death by his parents; brothers, Howard Miller and infant, Frederick Miller; and sister, Agnes Zobin. Philip graduated in 1961 from Fremont St. Joseph and retired in 2007, as an electrician, from National Machinery. He was a member of St. Mary Catholic Church, National Machinery Quarter Century Club, T-Squares and was an Old Fort Athletic Booster. He enjoyed golfing, gardening, traveling, coaching Little League baseball and spending time with his family. 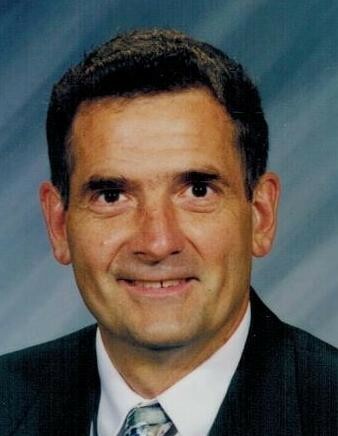 He was an avid sports fan and loved watching his children’s and grandchildren’s ball games. His Funeral Mass will be at 10:00 A.M. on Tuesday, February 12, 2019 at St. Mary Catholic Church with Rev. Gary Walters officiating. A Rosary will be prayed 20 minutes prior to Mass. Burial will follow in St. Mary Catholic Cemetery. Friends may visit with the family from 2-4:00 P.M. and 6-8:00 P.M. on Monday, February 11, 2019 at Hoffmann-Gottfried-Mack Funeral Home & Crematory, 236 S. Washington St., Tiffin, Ohio 44883, (419) 447-2424. Memorial contributions may be made to the St. Mary Catholic Church, P.M. Gillmor Community Park, or the Michael J. Fox Foundation for Parkinson’s Research.